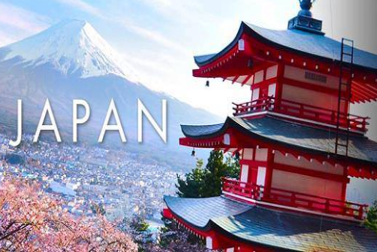 The Embassy of Japan in India invites applications for Japanese Government Scholarships from students interested in pursuing Research/Masters/ Ph.D. course in Japan. The fields of study are as given below. Bachelor’s Degree in the relevant field with minimum 65% marks. The candidates should obtain their mark sheet and degree on or before 31st March 2020 for April 2020 batch and 30th September 2020 for October 2020 batch. Master’s degree in the relevant field with minimum 65% marks. Candidate having practical research/teaching/work experience after obtaining the prescribed qualification on or before 31st March 2020 for April 2020 batch and 30th September 2020 for October 2020 batch. a) Students who have completed a Bachelor’s degree/Master’s degree course in the Japanese Language from a recognized university. b) Students who have completed a Bachelor’s degree course in any subject from a recognized university and obtained N2 Certificate of the Japanese Language Proficiency Test (JLPT) conducted by the Japan Foundation. Students who have completed a Master degree course in the Japanese Language from a recognized university. Round-trip airfare will be provided. The application form is given here. The completed application form mentioning subject Research Student and file name as the field of study-name.docx (e.g. physics-amit.docx) should be sent to the Embassy through email as an attachment, by 13th May 2019. Applications received on this email id only will be considered as a submitted application. Note: The size of the file should not exceed 200KB. Application deadline: 13th May 2019. Application Screening: 3rd/4th week of May 2019. Notification of shortlisted candidates for Written Test and Interview: 1st/2nd week of June 2019. Written Test and Interview: 22 June, 23 June, 29 June, 30 June 2019. 50-G, Shantipath, Chanakyapuri, New Delhi – 110021. Please write your telephone number, when you send a query by email.